One thing that really has stood out throughout the implementation period, is Caroline’s Cakes devotion to their customers. Their team was extremely organized, knew exactly what they wanted from our software and the customizations they requested. Every aspect was thoughtfully decided in relation to how they could provide better customer service to their 400,000 customers! 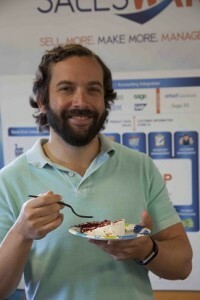 We adapted our purchase order module to function as a work order management system, ensuring that they have just the right amount of freshly baked cakes to fulfill orders, and customized our order entry and processing functions to easily adapt to their corporate customers, who often place very large orders during the holiday season for their employees, customers, and clients, which are shipped to multiple addresses. We’ve made it it easy for them to import and manage these orders like never before. Additionally, we streamlined their pick and pack processes, automatically calculating the proper postage required based the order contents. No individual weighing or scanning down a production line to generate shipping labels. Pick tickets (with the shipping labels included) are batched and printed, allowing their team to pull directly from their freezer at just the right time for pick up by UPS, to ensure your cake is as fresh and beautiful as when the last dollop of frosting was applied. Batches can be generated based on shipping method, so they can get those overnight orders out the door, as well as other conditions, ensuring orders are shipped appropriately and efficiently. We worked with their web development team customizing our already robust integration with Shopify, to allow scheduled shipments, and the ability to seamlessly handle their strict shipping methods, assuring that your cake arrives as perfect as when it left Caroline’s bakery, whether traveling to Augusta, Maine or San Diego, California. Caroline’s Cakes made it into Oprah Magazine as one of Oprah Winfrey’s Favorite things in 2017 with their 7 Layer Coconut Cake. This was the second time Caroline’s caught Oprah’s attention. 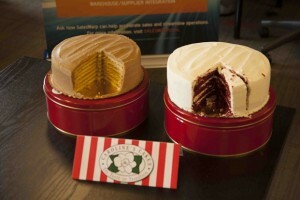 The first was in 2011 when Gayle introduced her to Caroline’s world famous Caramel Cake. 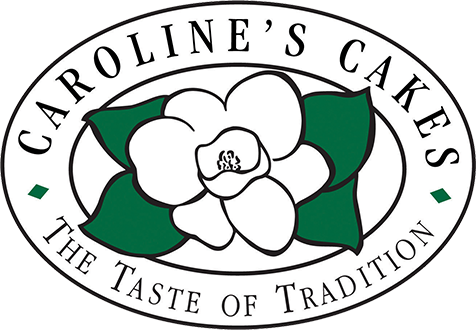 Caroline’s has also been featured in other publications such as Inc. Magazine, InStyle Magazine, and Coastal Living Magazine, among others, as well as being featured on The Food Network, and The Cooking Channel! 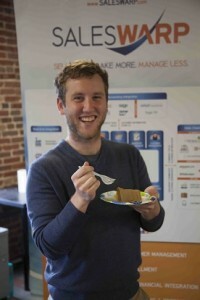 Here are some SalesWarp team members enjoying treats sent from Caroline’s to celebrate the successful application launch (which, coincidentally, coincided with a few of our birthdays). Caroline’s dedication to this project, as well as their devotion to providing outstanding customer service to their customers made them wonderful to work with, making all our lives *a little sweeter*. SalesWarp’s Order Management System (OMS) integrates with popular eCommerce platforms including BigCommerce, Shopify, Magento and Zoey, and marketplaces provided by eBay and Amazon, and manages the entire range of inventory, order, and fulfillment processes for retailers. This ensures on-time delivery to every customer, every time. Through a simple, user-friendly control dashboard, SalesWarp automates complex, time-consuming management tasks across every online and in-store sales channel. Easily deployed and rapidly scalable for growing retailers, SalesWarp effortlessly synchronizes orders, delivering the “buy anywhere, fulfill anywhere” (even with Amazon FBA) experience shoppers today have come to expect – which keeps them coming back.